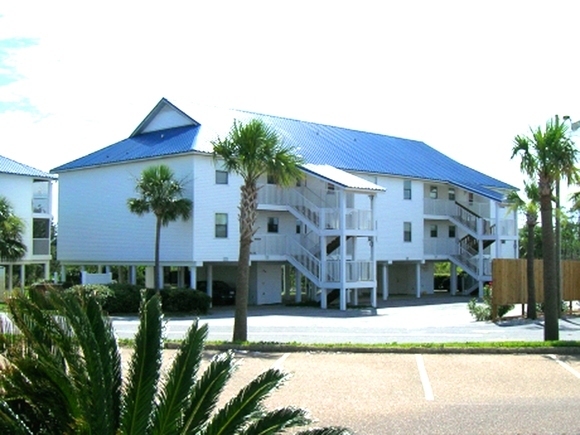 Palmetto Condominiums located in Orange Beach, Alabama were damaged by Hurricane Ivan in September 2004. Extensive repairs were done to the two building 16 unit condominiums which included: New metal roof, new exterior stairwells on one building, and some minor vinyl siding work on both buildings. New interior finishes on both buildings consisting of drywall, paint, flooring, doors and trim, windows & glass, and cabinetry. Not all units had major damage, but work had to be performed in all 16 units.